211 in stock Need More ? ** Read the book behind the smash-hit Netflix film, starring Joey King! ** Meet Elle Evans: pretty, popular - and never been kissed. Meet Noah Flynn: badass, volatile - and a total player. 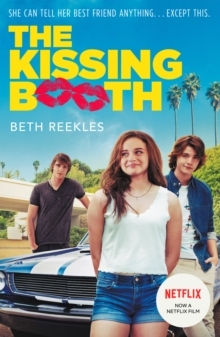 When Elle decides to run a kissing booth for the school carnival, she never imagines she'll sit in it - or that her first ever kiss would be with bad boy Noah. From that moment, her life is turned upside down - but is this a romance destined for happiness or heartbreak?If you love Holly Bourne and John Green, then you will adore The Kissing Booth!